PUDDLEDUCKS ARE WINNERS! More information to follow shortly! A group of our Cygnets children had an exciting morning of fun and games with some of the residents of BCM Kirk House (Housing with Care for older people). 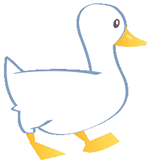 It's hard to believe, but Puddleducks Day Nursery was launched exactly five years ago, on 1st June 2012. It was an incredibly inspiring day for Sharon (Puddleducks Manager) who attended a masterclass facilitated by Dr. Suzanne Zeedyk, who is a research scientist and an inspirational speaker. We accept Childcare Vouchers from many providers - please speak to Sharon for more details. Employers For Childcare Vouchers is the only Childcare Voucher provider that is a Social Enterprise, therefore 100% of its profits are reinvested into its charitable activities: advice and information services for parents on childcare and work-related issues. Visit their website or call freephone 0800 028 3008.